A voluntary national certification intended for professionals working within Substance Use Disorders/Addiction-related disciplines wishing to demonstrate their skills gained through years of supervised work experience and specific course work. Why obtain the NCAC II credential? Position yourself for career advancement and increased salary potential. 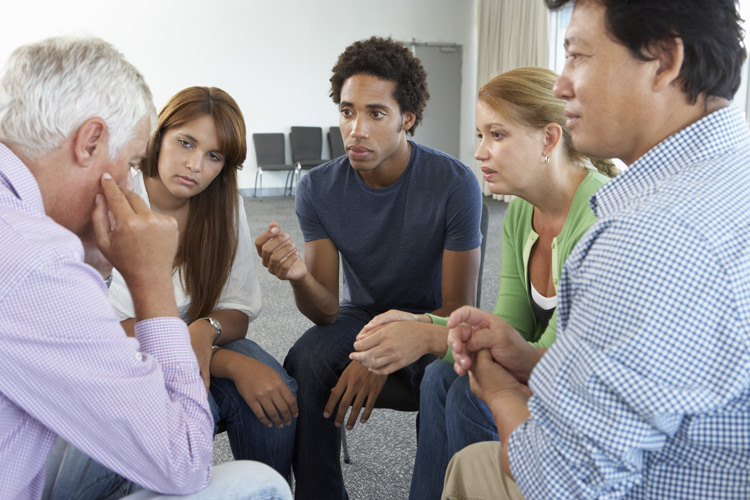 Distinguish yourself as a practitioner who has specialized in addiction assessment and treatment. Demonstrate to clients, employers, and 3rd party payors your commitment to quality care by verifying through certification the skills and competencies you have developed through years of work experience and coursework. The NCAC II credential reflects a commitment of the highest ethical standards for Substance Use Disorders/Addiction professionals. The U.S. Department of Labor expects the demand for Substance Use Disorders/Addiction counselors to grow by 22% by 2024. Bachelor's Degree or higher in Substance Use Disorders/Addiction and/or related counseling subjects (social work, mental health counseling, psychology) from a regionally accredited institution of higher learning. Current credential or license as a Substance Use Disorders/Addiction Counselor or Professional Counselor (social worker, mental health, marriage & family, psychologist, psychiatrist, medical doctor, LAP-C) issued by a state or credentialing authority. At least five years full-time or 10,000 hours of supervised experience as a Substance Use Disorders/Addiction counselor. At least 450 contact hours of education and training in Substance Use Disorders/Addiction. Must include at least six hours of ethics training and six hours of HIV/other pathogens training within the last six years. Passing score on the NCC AP’s NCAC Level II exam or an “Advanced Level” SUD exam from a certifying/licensing entity. Copy of Bachelor's Degree or higher transcript from a regionally accredited institution of higher learning. Evidence of current credential or license as a Substance Use Disorders/Addiction Counselor or Professional Counselor (social worker, mental health, marriage & family, psychologist, psychiatrist, medical doctor, LAP-C) issued by a state or credentialing authority. Written verification of competency in all skills groups by a supervisor or other health care professionals who have personally observed the candidate’s Substance Use Disorders/Addiction work for a total of five years full-time or 10,000 hours. Evidence of 450 contact hours of education and training in Substance Use Disorders/Addiction. Submission of a signed statement that the candidate has read and adheres to the NAADAC/NCC AP Code of Ethics. Payment of non-refundable credential application fee. Evidence of a current state-issued credential/license. 40 hours of continuing education every two years. Provide work history for the two years prior to renewal. Payment of non-refundable renewal application/certification fee of $200.00. See full list of costs and fees. Any candidate taking the NCAC II examination specifically for a NCAC II national credential must be approved by the NCC AP prior to registering for the test. First, a candidate must submit a NCAC II application. Once approved, NCC AP will send you a code and link to take the NCAC II examination at a time and location of your choosing. Any candidate taking the NCAC II examination as part of a state credentialing or licensing process must contact their state certification/licensing board to obtain the necessary code and online link to take the exam. Test applications and fees are separate from NCC AP credential/endorsement applications and fees. The National Certified Addiction Counselor, Level II (NCAC II) written examination consists of 200 multiple-choice, objective questions with a total testing time of three hours. The examination tests candidates’ knowledge in the areas of counseling practice (25%), pharmacology of psychoactive substances (25%), the theoretical base of counseling (25%) and professional issues related to Substance Use Disorder treatment (25%). If you have previously taken a certification exam at the state level, you may be able to use these scores towards national level certification. See States Using NCC AP Exams for more information.